Three players ranked by Baseball America among the top 30 Minnesota Twins prospects are assigned to the Cedar Rapids Kernels for the start of the 2017 season. Those players are infielder Travis Blankenhorn (No. 10), catcher Ben Rortvedt (No. 23) and first baseman Lewin Diaz (No. 26). Blankenhorn split last season between Cedar Rapids and the rookie-level Elizabethton Twins, cumulatively batting .293 with 10 HR and 41 RBI in 59 games. He played shortstop in high school, but has split time between second and third base since making his pro debut in 2015. Baseball America says his ultimate position is still undetermined because “he’s a fringy defender at present,” so I figure at least a chunk of his playing time will be as a designated hitter. BA believes that with work, Blankenhorn could become one of the best pure hitters in the Twins system, and hit for power. Rortvedt, a 2016 second-round draft pick out of high school, made his pro debut last year, appearing in 33 rookie-level games. He batted only .222 and didn’t homer in that small sample size, but Baseball America says he “flashes above-average power potential from the left side with his short, quick swing.” He has an above-average arm, which helps his still-raw defensive game. Diaz turned 20 in September, but he is entering his fourth season as a pro ballplayer (including his 43 games in the Dominican Summer League in 2014). Last season was his best so far, as he batted .310 with 9 HR and 37 RBI in 46 games in the rookie-level Appalachian League. Baseball America pegs his ceiling as a middle-of-the-order hitter. Outfielder Aaron Whitefield batted .298 in 51 Gulf Coast League games last year, and led the GCL with 31 stolen bases. A pitcher to watch is right-hander Tyler Wells, who performed well for Elizabethton last season. He went 5-2 with a 3.23 ERA, 59 strikeouts and 17 walks in 47.1 innings (10 starts). 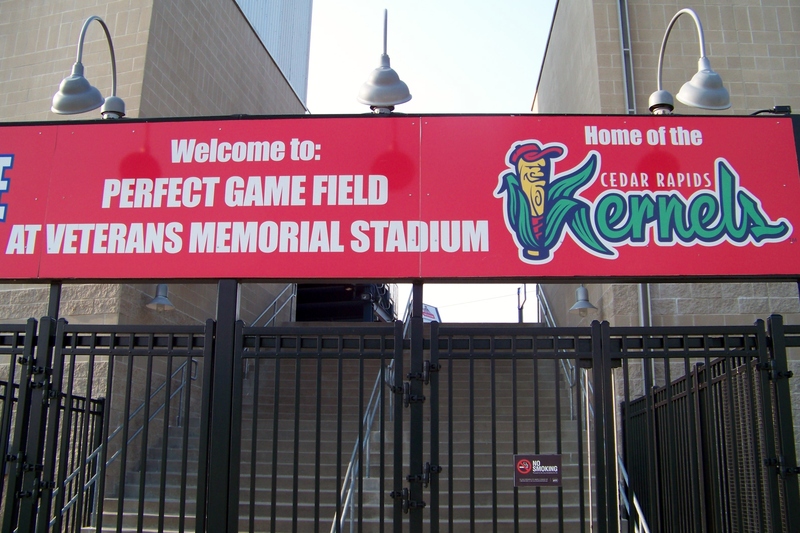 You can see the entire Kernels roster here. The team has a new manager this year, former hitting coach Tommy Watkins. You can read about his coaching staff here.